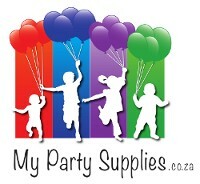 Party supplies for adult & teen birthdays, anniversaries and special occasions (Welcome Home, Get Well Soon, Farewell). Shop in-store or online. Couriered throughout South Africa. Adult Party Supplies There are 4 products. Pick & Mix birthday party supplies. Adult birthday party ideas and inspiration. A beautiful range of Rose gold party supplies. Hawaii party ideas and inspiration. The bright day-glow colour makes them perfect for day and night events while the vivid UV-glow makes them spectacular for any event with a UV light.